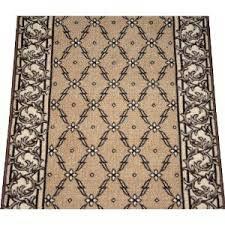 We are a renowned Manufacturer and Exporters of a unique range of plain own Beige Checkered Rugs. These Beige Checkered Rugs add a graceful touch to the home decor. These Beige Checkered Rugs are appreciated for their features like long lasting shine, perfect stitching, creative designs, fine finish and colorfastness. The offered Beige Checkered Rugs are available in different colors, sizes and designs at highly competitive prices.